The youngest daughter of the Royal Family of Couviere, Princess Aliza is known to the general populace as a dignified and pious young woman; outwardly the very epitome of what one would expect from her lineage. It would be perfectly reasonable, if simultaneously appalling to most, to say: Princess Aliza never did have much interest in marriage. Scandalous, you may think, for one who was raised and honed throughout her young life to make the ideal trophy in some political matchmaking scheme. That's the trouble with Valdans, though… they scheme circles around would-be opponents and opportunists. The 'baby' of the Royal family, she was doted upon from birth, particularly by her late father, whom she adored. The blue-eyed Princess also looked to her elder brother, Jean-Paul, with awe and admiration. He was, in her mind, the ultimate rebellious role-model - though of course she didn't know the half of it until she was far older. By then, being female, of relatively sharp intellect and passably quick wit, she herself had mastered the art of walking that delicate, teetering line between propriety and scandal with far easier grace than he. Oh, they were of devastatingly similar nature, that much remains true; maddeningly wilful and almost cavalier at times. She was simply always more adept at veiling it beneath a courtier's charm, as befitted one of her station. The 'little princess' was expertly tutored in all manner of noble traits - unsurprising, of course. And while she displayed great talent in those areas of expertise that her mother so valued - singing, dancing, stewardship et al - it was her martial and riding lessons that brought her joy, alongside the teachings of her faith. Oddly fascinated with the seafaring ways of Rovilon and its merchants, Aliza finds pleasure, in rare moments of leisure, in the study of seafaring and cartography. Not the most ladylike of pursuits, in the opinion of some. Less so her education in swordplay. 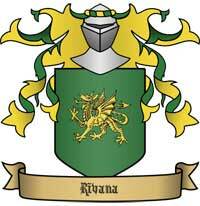 This is no frail damsel after all - she is a daughter of House l'Valdan. Silvery scars mark her here and there as having seen her share of skirmishes in the not-so-distant past. Truth be told, she would keenly further her lessons in combat, if only a suitable tutor could be found. Beyond these interests, the young lady also spends many hours riding or hawking.. though it is always the sea that holds her heart. Perhaps for no other reason than the promise of freedom. Pious and gracious from the tenderest of ages, and beloved by the people of Rovilon for such humble gentility, Aliza was devout even beyond the usual high standards of the Royal family, following closely in her mother's footsteps. An idle, childish daydream of hers was to become a Paladin; to serve Sanctum. And indeed, she privately considers herself almost as such, given her diplomatic station. Not that she'd ever say such things on a whim. But if one had looked then for an obvious path.. well, that venture would have splendidly illuminated. Her respect and loyalty to the faith remains undeniably inspiring, even now, in the wake of such misdeeds, and when able, she chooses to accompany these Knights errant on their travels. Given the choice, the princess would prefer a Paladin and his company over a dozen Royal guards. The people seem more accepting that way. The rumblings of betrothal arrangements were swift enough in coming, momentum steadily increasing by the time she had turned twenty. Viscount Jaren Cassomir. Ask her now and the name would likely elicit little beyond the subtle arch of a brow, as if to convey polite enquiry. Who? But the first time the name was uttered within her hearing, she had privately admired the way it rolled off the tongue. Chaste and aloof she may be, but if a match was inevitable, what harm in it being with so handsome and dashing a suitor? Falling in to the trap beguiling to so many young ingenues, the Princess began to imagine the life ahead of her.. and the man who would be her husband. And, incredibly enough.. the notion made her happy. Alas, if only the arrangements had been successful. If only her father had not seen fit to abolish the plans and risk the wrath of Queen Alysande. If only her parents would allow her to become a Paladin and have done with it, if we are truly wishing for miracles. It was only through the timely intervention of Queen Cynthia that the whole affair avoided becoming a scandal, really. Thank the One. She knows now, of course, that the machinations of the traitorous Cardinal were behind it all. She knows that. But it does little to heal the hurt, deep down. Unable to bring herself to despise the man who has saved the lives of both she (at the hands of a would-be assassin), her family and countless numbers of their people, Aliza still avoids becoming too close to the Rivanan court where possible, preferring to serve as diplomat to Sanctum for example, when her mother struck out for Sunsreach, or more remote outposts when she is permitted to accompany a venture of the faith. What is life without the thrill of adventure, after all. Or so she insists, seemingly light-hearted about the threats she must always face as the sister of the King. Those closest to her, however, might just have noted an occasional fleeting, whimsical darkness within her outwardly collected demeanour. It may well be wise to have her in constant travel as a diplomat rather than suffocating in life at court, for now. Queen Cynthia is no fool. Aliza is, for the most part, exactly what one would expect of a Royal. Dignified, well-spoken, ladylike and unfailingly kind, with the ever-present promise of a gentle smile, she is best known by the masses for her piety and charity. Let these traits never be mistaken for weakness, however. She can be just as wilful and fiery as the King. She's just more likely to sweeten her words. Imposing by the weight of her presence alone rather than threat or intimidation, she possesses a surprising austerity for one so young. Her languid, effortless carriage says it all - she knows well who she is and what power her station might convey, when she so chooses. DIGNIFIED - While of course a certain level of poise is to be expected of a Princess, Aliza's quiet, calm persona and unthinking grace of motion comes naturally, rather than being affected airs born of countless hours of practise. In this, she is very much her mother's daughter. DEVOUT - Aliza is utterly committed to her faith, despite the recent troubles of the Church. In fact she rather likes to think of herself as an 'unofficial' Paladin and can often be found in their company, when the occasion calls for it. INFORMATION SOURCES - Well-liked, gracious and chaste. These traits combine to loosen tongues of admirers easily enough. As such, the Princess is privy to all manner of tidbits; from mere courtly gossip to darker rumours. Beware - if she knows your name, it's probable she also knows far more. Like mother like daughter. PERCEPTIVE - Call it cynical, call it astute. Either way, Aliza doesn't miss much, even in the most subtle of nuances or briefest of exchanges. To put it bluntly, you'd have to be up early in the morning to pull the proverbial wool over her eyes. POPULAR - The youngest Princess of Couviere is a likeable creature, when it suits her. Kind and generous to a fault, she makes time for any who cross her path and is rumoured to delight in teaching a select few. The common folk adore her as a symbol of piety -something of a balm to her brother's not entirely unblemished reputation..
SHREWD - Sometimes, the easiest way to get what you want is not to ask for it. A well-placed suggestion, a gentle nudge in the right direction and you'd be surprised howsmoothly things might fall into place. Aliza prides herself on discretion, after all. UNBREAKABLE - This is no fairytale damsel. While she may lack the brute strength of her brothers and knights, she is more than adept with lighter blades and will not shy away from battle, when the need arises. Though her particular code of honor generally demands she do so only in order to protect those who cannot protect themselves. TRUE FRIEND - With such devotion to one's faith comes responsibilities that might risk it all. Aliza considers Archbishop Sirrah Lancella a true and honest ally of the Royal Family, as well as a role-model. If she has need, the Princess will offer aid without hesitation. Aliza l'Valdan is undeniably striking. Lightly tanned skin - quite unblemished despite subtle clues of the past such as the occasional silvery scar - lends a glow of warmth and wellbeing to her overall appearance. Her form is petite, while bearing subtle undertones of lean muscle to betray a perhaps unexpected ability for swift athleticism, her long, vaguely coltish legs in particular betraying quiet strength. About the shoulders and arms she is less powerful. The elegant gestures and motion from here speak less of predatory prowess and more of a courtier's grace. Large eyes of sparkling green regard her surroundings often with a contemplative air, emphasised by long and dark lashes and the slender, arching brows set above. Her hair is well tended, falling in thick swathes of natural waves to her lower back; hues of autumnal tawny-gold and honey. A straight, aquiline nose leads downward to lips of a deep rosy pink hue. Something about her expression suggests her to be quick to a smile; as if she were ever on the precipice of an amused grin or mischievous quip but withholding it just barely. And yet, there's a telling darkness in those emerald eyes, now and then, that warns of strictly controlled, ferocious temper - no doubt not the only legacy of her Royal lineage. The young woman's standard attire is simple and functional rather than particularly 'pretty'; though the materials are of exquisite quality and craftsmanship. A hooded riding dress of gleaming ivory leather adorns her form, the sleeves and bodice securely buckled and laced, the lengths full-skirted and yet with splits high enough on the thigh to permit ease of movement. Beneath this, a tunic of creamy linen constrains her figure further and offers warmth, while beautifully crafted, engraved bracers adorn her forearms - one bears the insignia of House l'Valdan, the other the likeness of Saint Sarah. Thigh-high boots of supple deerskin are laced tightly about her calves atop pristine breeches of light tan. Almost always she bears twin blades slung at either hip. They shine with equal splendour, still above far humbler halls. Reminds me of the freedom I gave up so long ago. I once thought only of the rights this circlet would endow. I found it heavy on the heart, though light upon the head. Queen Alysande Tracano elevates the Barony of Ironhold to a County, and arranges for betrothal negotiations to occur between the newly-minted Viscount Jaren Cassomir and the royal family of Couviere. She dispatches Jaren and the Archduchess Alyanna Gerrell to handle the diplomatic overtures. In Couviere, Alyanna Gerrell overplays her hand in attempting to win over the l’Valdan. While the King and Queen are favorably impressed with the Viscount, negotiations for a marriage between the Viscount and Princess Aliza are postponed due to the faux pas, even after Jaren helps to avert an assassination attempt on the youngest l'Valdan. Seemingly inexplicably, King Maris l’Valdan writes a scathing letter to Queen Alysande Tracano and the Viscount Jaren Cassomir, emphatically ending any negotiations for the hand of Aliza or any of his daughters. Queen Cynthia manages to prevent any public denouncement from being made, but not the letters being sent in the first place. Possessed of a clear mind a few days later, King Maris laments his actions, fearing he has ruined an opportunity for formal, lasting peace between the Kingdoms. Cynthia then reveals that she has been secretly corresponding with the Duchess Eleanor Greycen for some time, who has expressed interest in wedding her son Thaddeus to one of the Couviere Princesses as well. Realizing that offering any less would not be sufficient recompense for the insult Maris delivered in his addled state, Maris agrees to wed his eldest unwed daughter, Ariane, to the Greycen heir. Late in the month, all eyes turn to Pacitta as the wedding of Lord Thaddeus to one of the Princesses of Couviere occurs. It is a grand affair attended by many of the most important personages of the Edge, including Queen Alysande, and of course King Maris and Queen Cynthia. Perhaps surprisingly, the wedding and feast go off without any serious complications. However, after the wedding, one of Couviere’s Blue Cavaliers poisons King Maris, very nearly killing him. Before he is cut down (while resisting arrest) the Cavalier not-so-subtly implicates Aliza's brother, 'The Black Prince' Jean-Paul, who was not present for the wedding. Prince Jean-Paul l’Valdan is captured by Wraiths led by Corvin Fremont within the borders of Lonnaire. He is taken prisoner to Highwater Castle. In Couviere the l’Saigner and l’Faust both uncover that Cardinal Ramius is responsible for the realm’s current troubles. Both families inform the Queen who had her own suspicions as well. Between the three sources there is little doubt of the Cardinal’s betrayal but Cynthia is unable to act while Rovilon is under the protection of the Cardinal’s Guard. She entreats the l’Saigner and the l’Faust to find her son and the disbanded Royal Lancers and rally them to Rovilon’s aid. She also has Viscount Mattias t’Andalucci help purge her husband suspecting it is poison and not illness that is the cause of his decline. The forces loyal to the Queen rally and assault the Rovilon to free it from the Cardinal’s Guard, the Princess taking up arms amongst them. The arrival of Prince Jean-Paul sets the people against the guard and battle quickly becomes one to secure the palace. The Queen and her youngest son and middle daughter attempt to confront the Cardinal only to find him seeking them with his guard. A fight ensues, and Cardinal Ramius is able to capture the Queen only to be stopped by a mostly-recovered Maris who wounds the Cardinal before the man flees through a previously unknown faegate. The city is secured and Maris is returned to the throne and reconciled with Jean-Paul. An impromptu council is held the following day and Jean-Paul is sent to rally the forces of Couviere to help relieve Valetta while parties are sent to Sunsreach and Sanctum to bring word of the Cardinal’s treachery and ask both realms for their support in the final fight against the barbarians. Aliza departs for Sanctum. The diplomats from Couviere arrive in Sanctum and Sunsreach. In Sunsreach Queen Cynthia leads the talks with Alysande and after just a few days the two Queens come to an arrangement with Rivana agreeing to come to Couviere’s aid. The diplomats from Courviere arrive at Sanctum - joined by a party from Rivana - and the High Priest agrees to send forces from the Templars and Paladins to relieve Valetta. Queen Elsanna presses her attack on the camp of Jean-Paul’s forces sending berzerkers to kill the Prince. In the middle of the fight the berzerkers suddenly lose their power and are cut down, forcing the barbarians to retreat. The following day Elsanna has other barbarians try the blood that made them berzerkers and finds it doesn't work. Having lost one of her most powerful weapons she decides to press her attack now rather than letting the warmlanders find out. The Brodlund ships are sighted at Rovilon and King Maris, Sir Michael l’Corren and those other fighting men still in Rovilon rally to defend the city. The fight becomes a short one when Maris filled with a holy zeal slays Ivar Thronson in single combat and the rest of his forces drive the raiders back to their ships. Though following his miraculous charge Maris is left weakened and is taken by Sir Michael and others to the cathedral where, after writing letters to his wife and to Jean-Paul, King Maris dies peacefully. Aliza, newly returned from Sanctum, lends her support to her mother in this time of grief, leaving the military organisation to those with far greater experience. The same day as the attack on Rovilon, Elsanna launches her assault; attacking both Valetta and the prince’s camp before dawn. The battles go badly for the Couviere forces to start but the Rivanan forces arrive under Thaddeus Greycen turning the tide at the Prince’s camp and driving the barbarians back before the walls of Valetta where the defenders sally forth and lay into the barbarian flanks. The battle, the most massive in the history of the Edge lasts until dusk and when the sun sets the barbarian horde is broken, Elsanna had fled and two of her husbands, each great chieftains were dead. Afterwards, Jean-Paul welcomes Thaddeus and Jaren (who returned with the other Vigilants before the battle’s end) to Couviere. The army splits when word arrives of the attack on Rovilon reaches Valetta. Some remain to secure the damaged fortress, other pursue the barbarians into the north to keep them from rallying while Jean-Paul goes home. Jean-Paul returns to Rovilon with survivors from the battle and they are given a heroes welcome by the people of the city. A few days later a formal funeral is held, followed by a celebration of Maris’ life and the Edge’s victory over the barbarians. Following the festivities the Rivanan army begins to head home but their nobles are invited to remain as guests (and other nobles invited to attend, such as Queen Alysande herself) as Couviere prepares to crown its next king. King Maris : My late father. The scales fell from our eyes too late. May you be at peace in the One's Kingdom. Queen Mother Cynthia l'Valdan : My dear mother. She does not suffer fools or weaklings and has been dilligent in her teachings. I can only aspire, one day, to be so gifted as she. King Jean-Paul : My brother, often referred to as 'The Black Prince' at one time.. though his coronation has been well received. I, for one, have never had cause to doubt you. Lord Alaric l'Faust : Lord of a vassal house and well thought-of by my kin, the Queen Mother in particular. I understand he played some part in bringing the late Cardinal to justice- this alone warrants high merit, to my mind. Lady Edwina l'Faust : A dear friend of my mother and an intelligent and pious Lady, how could we not be friends? While occasionally a touch forthright, that is actually a quality I appreciate in those whose opinions I value. Lord (Sir) Michael l'Corren : Children together in the palace, and now my cousin, by virtue of his sister's marriage to my Royal brother. I know that he fought by my father's side.. and accompanied him to his final resting place. Would that one of his blood could have been there, to offer both thanks and prayers. I shall not forget his loyalty to the late King and intend to learn more of the man he has become. He has well earned a helping hand, for his valor. 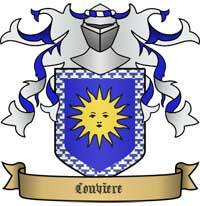 Master Corvin Fremont : I have heard what the gossips and songbirds say of you. I am also quite aware of who held my brother captive, regardless of reasoning. So never mistake me for some dim-witted wallflower. That said, you are entertaining company - as those at the center of scandal so often are - and I do enjoy those who speak candidly in my presence. Count (Sir) Dominic t'Corbeau : We have seen one another in passing, if only to exchange niceties. I have no quarrel with you and wish you well in your recent union. Viscount Jaren Cassomir : What a force we might have been and what better way to unite our respective Kingdoms in peace. Alas, it was not to be. I cannot bring myself to truly despise a man who has saved my life and fought alongside my brothers. And yet, while I may now know that much fault lay with the late Cardinal, in regard to our ill-fated betrothal, I cannot quite dismiss the rumours that so incensed my father. Not when you are now due to wed the very woman said speculation encircled. I shall endeavour to forgive and forget. Lord (Sir) Thaddeus Greycen : Now wed to my sister, Ariane. I confess I know little of him beyond this and the part he played in coming to the aid of my kin at The Battle of Three Crowns. Perhaps further effort should be made.